Heat large nonstick skillet over medium heat. Spray one side of one tortilla with cooking spray; place in skillet, sprayed side down. 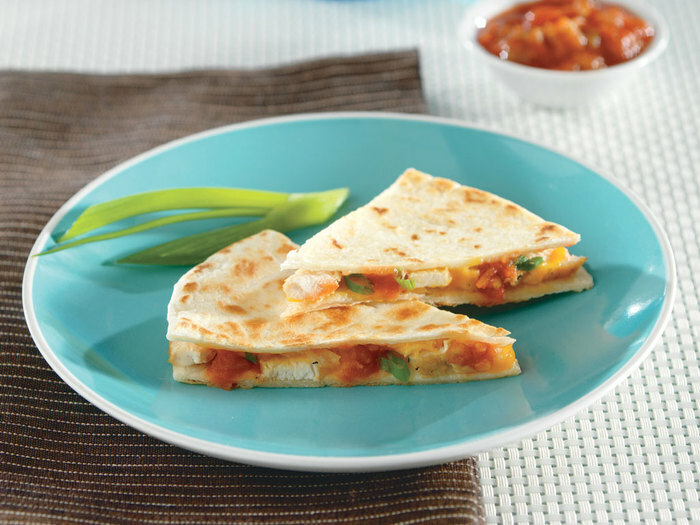 Top with cheese, turkey, green onion and salsa. Place remaining tortilla on top; spray with cooking spray. Cook 2 to 3 minutes per side or until golden brown and cheese is melted. To serve, cut into 8 wedges.